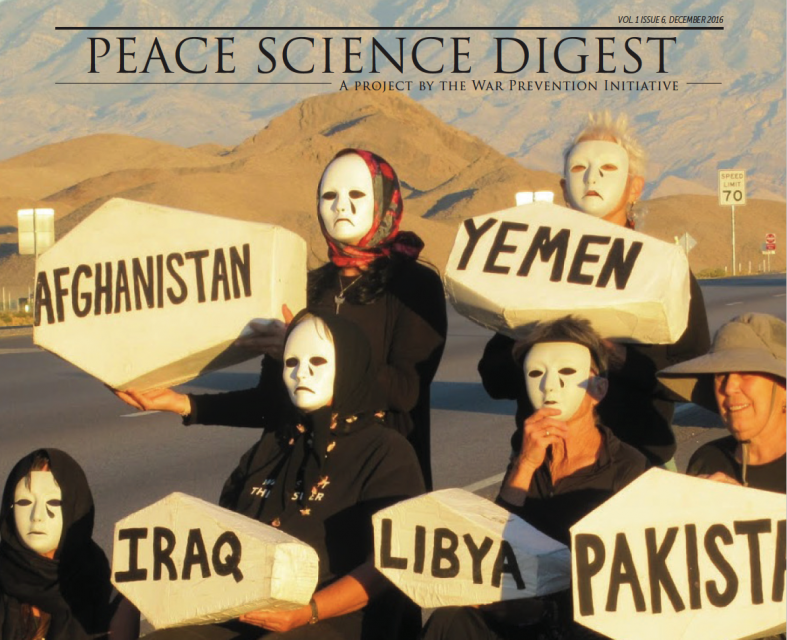 We hope you enjoy Volume 1, Issue 6 of the Peace Science Digest. This issue’s articles illustrate the necessity of highlighting the alternatives to war and violence, and proving that these alternatives are indeed available. However, we are not naïve—we are facing challenging political times. Given the uncertainties of U.S. foreign and domestic policy ahead of us, it becomes even more important to pro-actively challenge war and violence prone rhetoric and action by pointing to demonstrable more effective and less costly alternatives. Peace Science tells us that we certainly do not need a new (nuclear) arms race. For the text-only format of this issue’s analyses please click on the titles below or visit our Analysis Catalog.